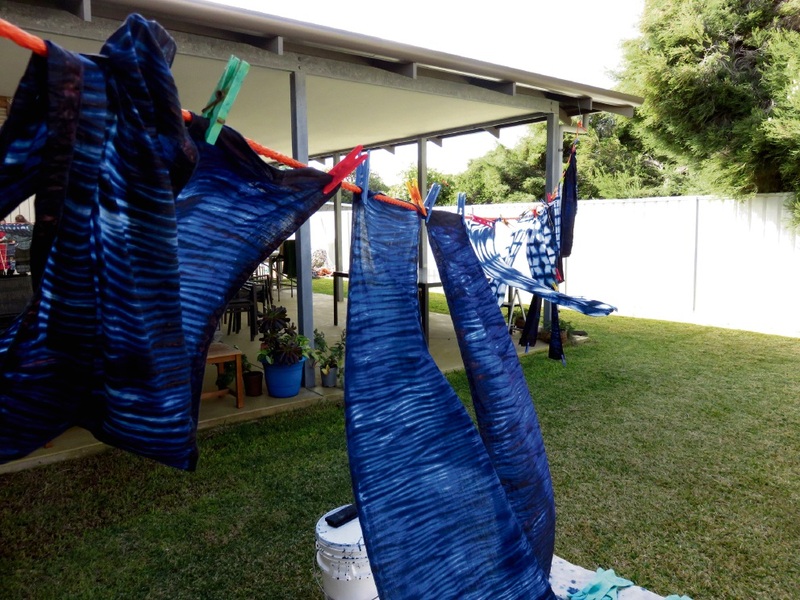 TRYCAN will hold a Shibori indigo dyeing workshop in July. LEARN acrylic painting or fabric dyeing with workshops presented by the Two Rocks Yanchep Culture and Arts Network (TRYCAN) next month. Artist Suzi Logue will hold a workshop on the elements of what makes a good painting. Each lesson will allow students to explore the possibilities of acrylics, through various mediums, using a subject of their choice. The workshops will also introduce students to drawing. Lessons will be held in the meeting room at the Phil Renkin Recreation Centre, Two Rocks on Wednesdays from July 5 to August 9, from 2pm-4.30pm. The course costs $280 or $260 for TRYCAN members and students must supply their own painting materials, easels and brushes. To book a place, call Suzi Logue on 9561 5376. Pam Annesley will hold a workshop on Shibori, the Japanese method of tie dye. This beginner’s fabric dyeing workshop will allow students to create patterns on either a cushion cover or scarf. Lessons will be held in the meeting room at the Phil Renkin Recreation Centre, Two Rocks on Saturday July 8, from 10am-1pm. It will cost $40 or $35 for TRYCAN members, with the fabric kit for a scarf or cushion cover included. Call 0427 957 612.